Apple car play: Apple car play allows users to get directions, make calls, send and receive messages, and listen to music, all in a way that allows you to stay focused on the road. Android auto: connect your compatible Android Device to display applications on your vehicle's screen. Enjoy instant access to maps, music or your Phonebook. See and control everything on a flush 6.95" (diag.) touchscreen : Bring up maps, sort through playlists, and make phone calls-all with just a quick tap on the touch controls. Quick-access key panel: enjoy quick and easy operation on the road. Keys along the bottom of the receiver give you instant access to basic Features. Sirius XM Radio ready: Connect your Sirius XM Radio satellite tuner (not supplied) to enjoy commercial-free music, sports, news, and entertainment. Store: discountsjungle Condition: New (Open Box, or other) Price: $317.95 Total Price: $317.95 Buy It from discountsjungle No returns. 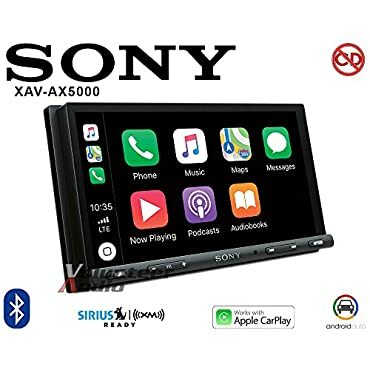 Sony 6.95 Inch 55W CarPlay / Android Double DIN Receiver with Bluetooth(Open Box) -- Free 1-3 Day Delivery With Hassle-free, 30-day Returns! 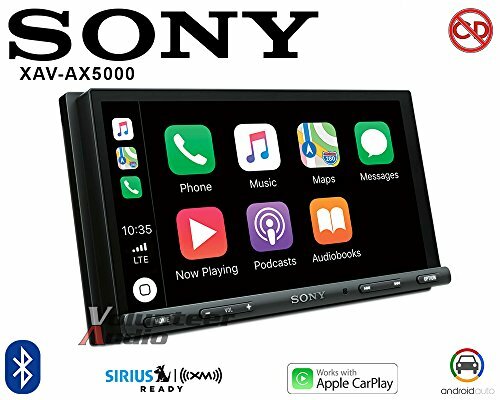 Sony 6.95 Inch 55W CarPlay / Android Double DIN Auto Media Receiver with Bluetooth -- Free 1-3 Day Delivery With Hassle-free, 30-day Returns!